Primitives at Design Miami is a collaboration by FENDI and ArandaLasch to explore ideas of craft and making. It is a continuation of the installation from the Venice Biennale in 2010 with an added element of live performance. 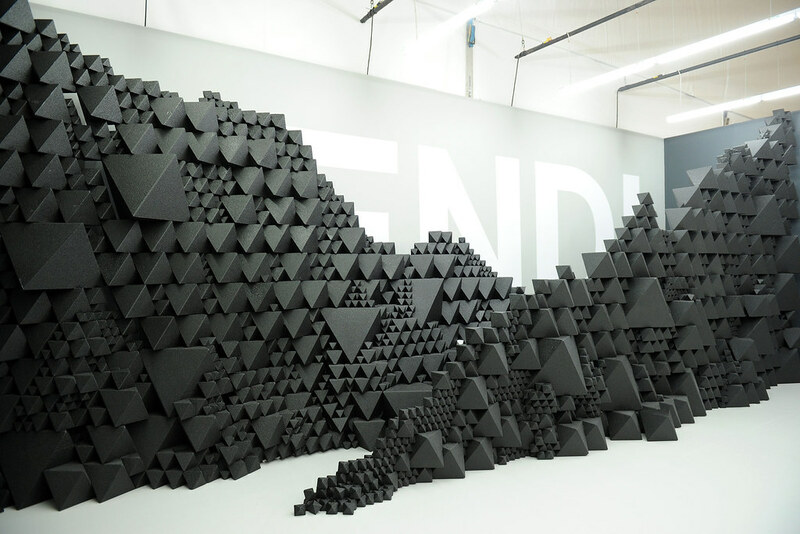 During the exhibition, ArandaLasch works with FENDI craftsmen to make new designs from the installation environment itself, as a wall of modular building blocks is reassembled into a series of improvised works. An interactive application invites the fair’s visitors to participate in the performance and understand the underlying logic behind the modular system. In addition to the new works, a custom FENDI bag is made with ArandaLasch. Together, the different aspects of the installation comprise a synthesis of ArandaLasch’s procedural design with FENDI’s legacy of craft. A total of eighteen new works, mostly stools, were made during the performance and added to the inventory of Primitive pieces, transforming the environment from a single wall into an immersive landscape of furniture. Primitives is a live exploration of a single unit and its manifold possibilities, a dual obsession with the way things stay together and how they fall apart.